Looking out the window, small snowflakes fall to the ground and join the thousand others that have attached themselves to the cold sidewalk. We should have a good 5-8 inches before the day is over. The air is crisp — the sky white. Beauty at its best. And here to make matters even better is the perfect soup. Really. I wouldn’t lie to you. 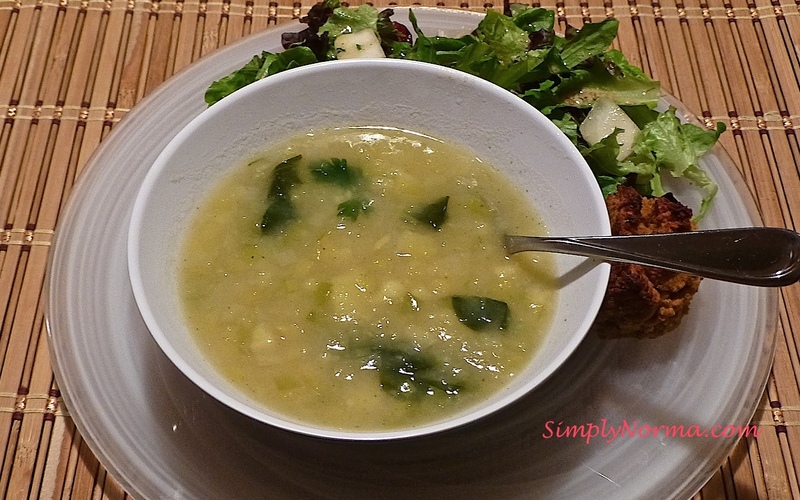 This soup is much better than the squash soup I’ve made in the past and it’s vegan, paleo and gluten free. Yes! The sweet potatoes give it a wonderfully sweet taste. No added sugar. You just have to try it. You will need just a few ingredients. And it’s so easy to put this soup together. 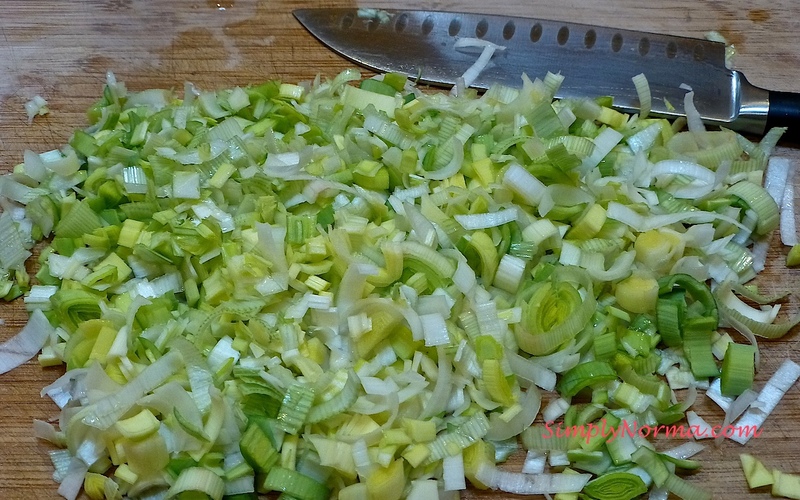 One of the “hardest” parts is slicing and chopping the leeks. These will be put in a large pot (make sure you read all the directions below as I’m giving you a very shorthand account of the steps you’ll be taking – just the major ones). The second hardest part? 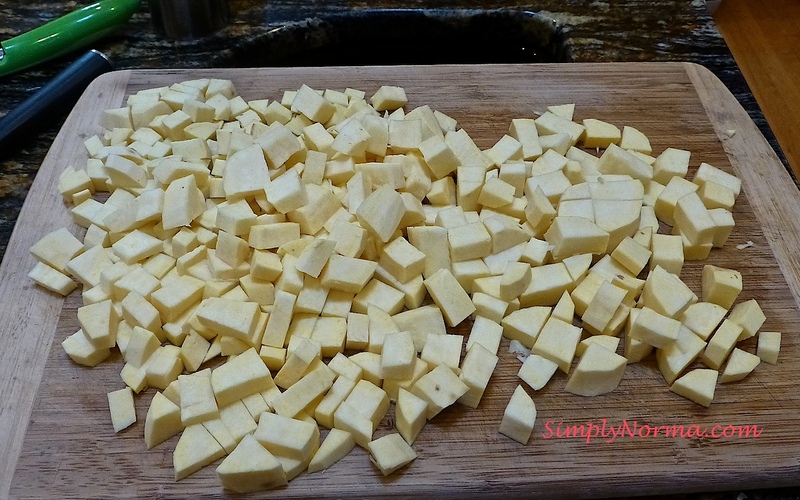 Peeling your sweet potatoes and cutting or chopping them into small bite sized pieces. Okay so — you’re going to try it, right? I strongly encourage you to try it. 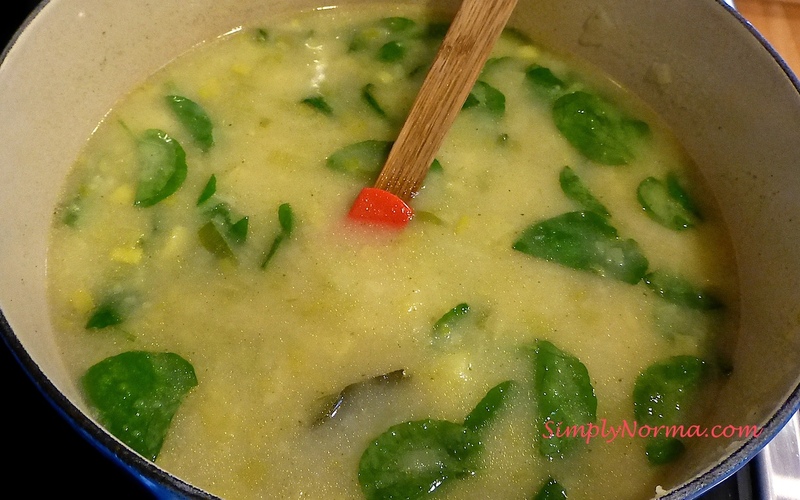 This soup is chock full of vitamins. Go on — search it out and see for yourself. Check out the nutrition in the sweet potatoes and the watercress. Can something this healthy be so good? Yes! 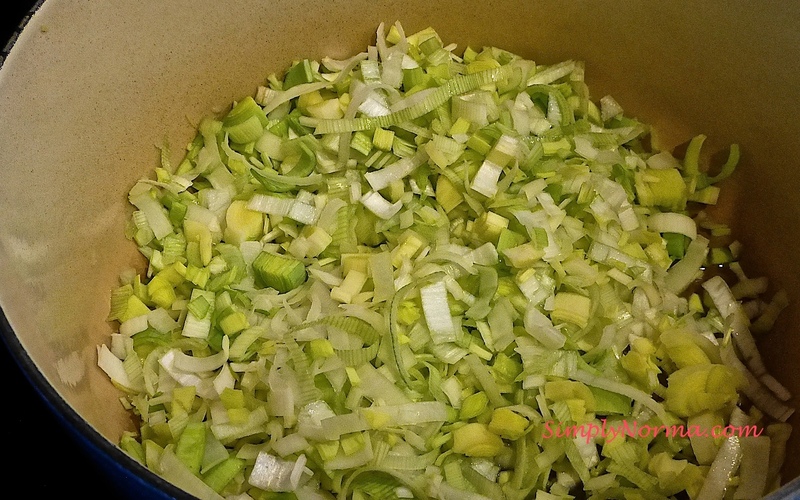 Add the leeks and saute over medium heat, covered, until they begin to turn golden. Stir occasionally. 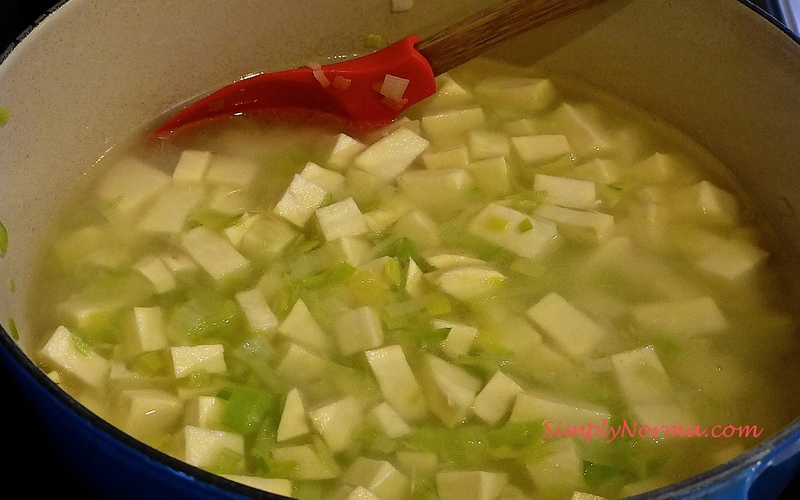 Add the sweet potatoes, bay leaf, bouillon cubes and enough water to cover everything. Mash some of the potatoes against the side of the pot with a fork then stir those pieces back into the soup to thicken it. 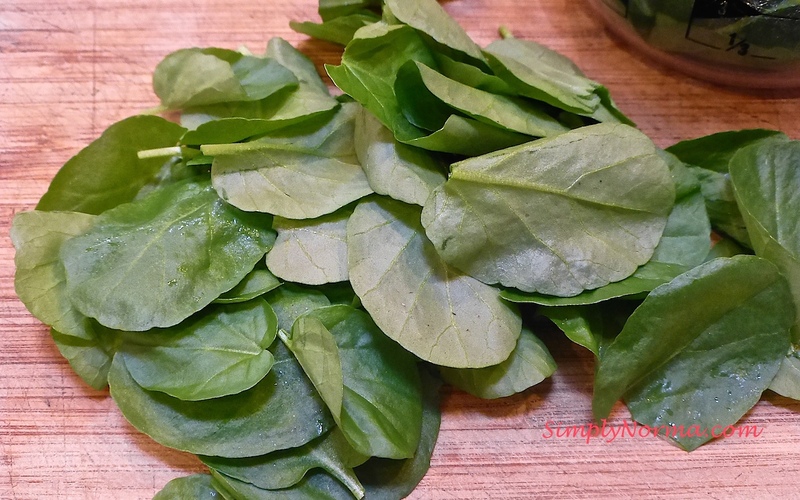 Add the watercress leaves and coconut milk then simmer over very low heat for 10 minutes longer. Add the parsley right before serving and heat the soup through one more time. I adapted the original recipe by using coconut milk instead of rice milk as it makes it more paleo friendly. Thanks to Kahakai Kitchen for this recipe. I served this with a side salad and paleo muffins. 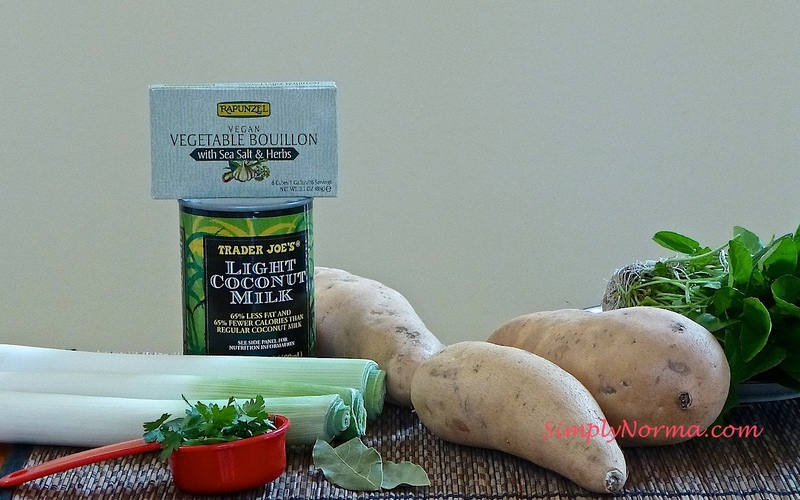 If you like sweet potatoes, you will definitely enjoy this soup.